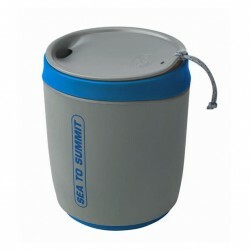 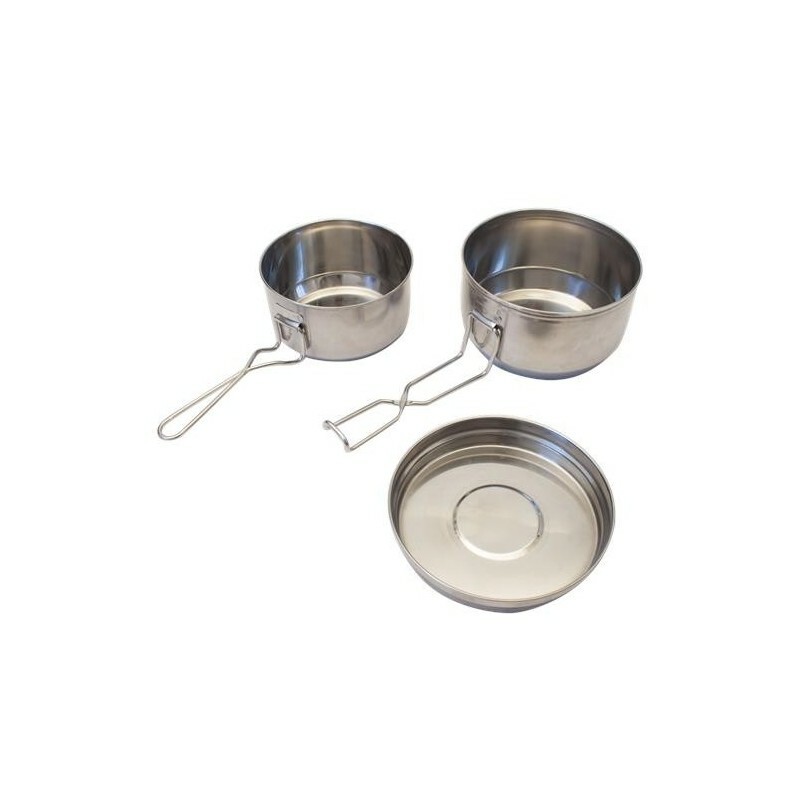 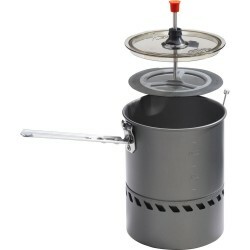 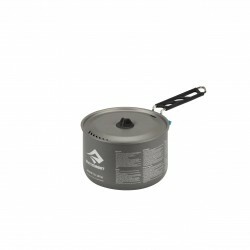 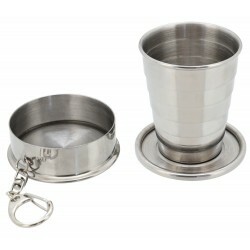 Three-piece mess kit/pot made of stainless steel is a classic facility for trekking, hiking and other outdoor activities where you intend to prepare a meal. 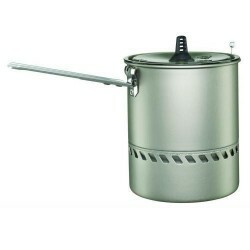 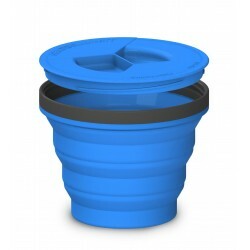 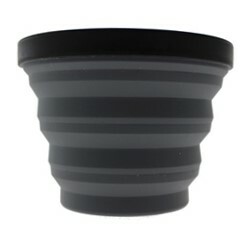 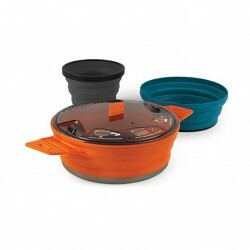 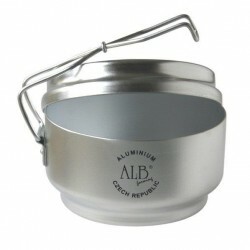 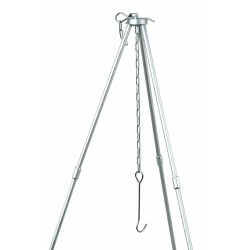 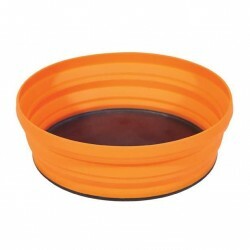 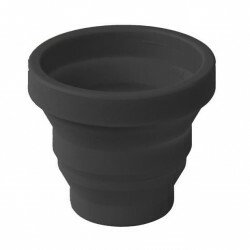 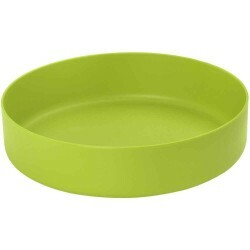 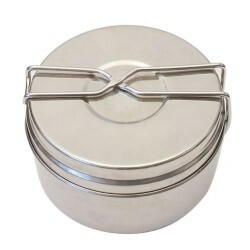 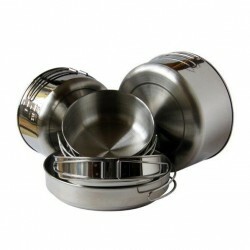 Mess tin consists of three parts, two containers and a lid, which can be used as a pan. 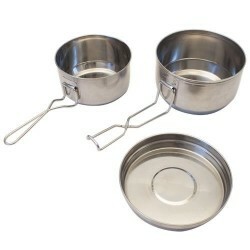 Mess tin has a practical folding handles.